Encompassing over 30 titles, including award-winning features, documentaries and television programs, the Israeli Film Festival runs from May 5 through May 19, 2011 at the AMC Loews 84th Street 6 (2310 Broadway). This year, the IFF falls on Israel’s 63rd Independence Day, and the festival will honor this anniversary with special programming. Over a dozen filmmakers will come from Israel their their films, with festival Q&As and gala celebrations. The Opening Night film is the New York premiere of Nir Bergman’s acclaimed film INTIMATE GRAMMAR, which recently won the Best Feature Film Award from the Jerusalem International Film Festival as well as the Sakura Grand Prix from the Tokyo International Film Festival (Mr. Bergman’s second Sakura Prize!). The 2011 Israel Film Festival will begin its milestone anniversary year with a VIP Reception in the Edwardian Room of the Plaza Hotel, and then the participants will segue to the adjacent Paris Theater for the Awards presentation and Opening Night Film. The 25th Israel Film Festival will honor Stanley Donen with the 2011 IFF Lifetime Achievement Award; Actor Liev Schreiber with the 2011 IFF Outstanding Achievement In Film Award; and celebrated Producer/Director Micha Shagrir with the 2011 IFF Cinematic Achievement Award. 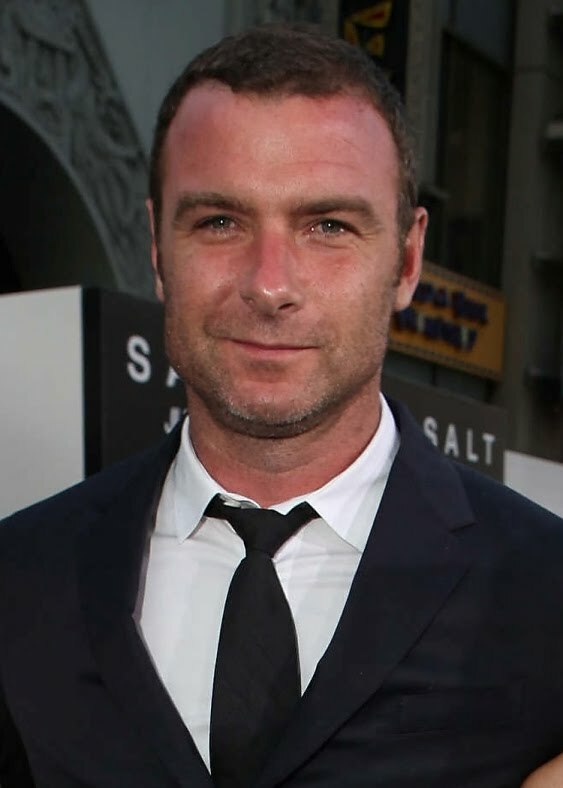 Liev Schreiber is considered one of the finest actors of his generation with a repertoire of resonant, humanistic and oftentimes gritty portrayals that have garnered him praise in film, theater and television. Included among his numerous independent and major studio films are SALT, X-MEN ORIGINS: WOLVERINE, THE MANCHURIAN CANDIDATE, and, on Broadway, David Mamet’s “Glengarry Glen Ross” for which he won a Tony Award, and most recently “A View from the Bridge” opposite Scarlett Johansson for which he received his third Tony Award nomination. Schreiber joined IFF at the 2008 IFF Awards when he presented the Outstanding Achievement in Film Award to his DEFIANCE director, Edward Zwick. Micha Shagrir is credited with planting the seeds of the Israeli film & television industry in the 1960s. Throughout his career, Mr. Shagrir has remained faithful to the classical Zionist symbiosis between the individual and society, and has been guided by a desire to view the reality and myths of our lives in a sobering, critical and loving manner. He continues to be a conduit of Israel’s film Industry. Stanley Donen, who just celebrated his 87th birthday on April 13, is the renowned choreographer and director of such films as SINGIN' IN THE RAIN, with Gene Kelly, and CHARADE with Cary Grant and Audrey Hepburn, as well as KISMET, DAMN YANKEES, and many other classic musicals. He began his career as a dancer, at sixteen, in PAL JOEY on Broadway. One special highlight of the festival will be the screening of the Academy Award winning documentary short film, STRANGERS NO MORE, directed by Karen Goodman and Kirk Simon. All Israel Film Festival films, except for Opening Night, will screen at the AMC Loews 84th Street 6 (2310 Broadway). Ticket prices for all regular films are $13, and $11. The Opening Night Film will screen at The Paris Theater (4 West 58th Street) following a VIP Reception at the The Edwardian Room at the Plaza Hotel. =>By phone at the IsraFest Foundation toll-free at 1-877-966-5566. The annual Panavision Audience Choice Award for Best Israeli Feature Film will be presented at the IFF’s Closing Night presentation. The award carries a state-of-the-art Panavision package worth over $60,000 for the director and producer to use toward their next film shot in Israel. One of this year’s films, Avi Nesher’s THE MATCHMAKER, was shot utilizing funds he was awarded from the Panavision Audience Choice Award he received from the IFF for his entry in the 23rd IFF in 2008, THE SECRETS. The Festival’s mission is to showcase the finest new Israeli films in order to share with American audiences the country’s rich culture, diverse stories and modern Israeli life. The 25thFestival Chairman is Arnon Milchan; The Honorary Committee includes Avi Arad, Mark Canton, Gil Cates, Michael Douglas, Richard Dreyfuss, Meyer Gottlieb, Dustin Hoffman, Lainie Kazan, Penny Marshall, David Matalon, Mike Medavoy, Bette Midler, Rob Reiner, Jane Rosenthal, Terry Semel, Nina Tassler, and many others. Proceeds from the Gala Opening Night event will provide funds to support the IsraFest Foundation and scholarship funds at the top six film schools in Israel. In the early 1960s in Israel, a new generation is growing up: the militant Israeli generation that will not go through another Holocaust. But Hinda's sensitive son, Aharon, doesn't fit the mold. His soul seeks refinement and art, which he can't find at home. How could he? For his father, a Holocaust survivor, human existence is reduced to war and survival. Aharon refuses to become like his parents. During three years, he does not grow an inch, until he realizes he is partly responsible for this, and so he embarks on a dangerous inner journey: to cross the boundary dividing childhood and adolescence. (2010, 110 min.) Sakura Grand Prix Tokyo International Film Festival; Best Full-Length Feature Film Jerusalem Film Festival. NY Premiere. Nir Bergman will attend. Israeli director Dover Kosashvili adapts one of Israeli literature's most celebrated novels by author Yehoshua Kenaz, in this multi-character, multi-tonal look at a platoon of aspiring Israeli soldiers, set in 1956. Set over ten years before the Israeli army's epochal victory in the 1967 war, Infiltration offers a series of vignettes designed to show a smorgasbord of Israeli attitudes and mores and ultimately the challenges of creating a homogeneous society from so many disparate pieces. Everything from Stanley Kubrick's Full Metal Jacket to Oliver Stone's Platoon gets referenced in Kosashvili's entertaining, thought-provoking tale. (2010, 116 min.) US Premiere. Zohi Sdom revives the traditions of wacky Israeli comedies with a large serving of infantile humor, ridiculous characters and pure fun as it recounts the story of the birth of the Jewish people and the advent of monotheism. Set during the last week in history of the infamous city of Sodom, a close look reveals that the biblical reality is no different than our reality in 21st century Israel. (2010, 88 min.) Winner of Israeli Academy Award for “Best Supporting Actress.” NY Premiere. Adam Sanderson is coming. (The film is the highest grossing Israeli film in Israel in the last 25 years). A sensitive coming-of-age drama set in a gritty working-class neighborhood of Haifa. Fourteen-year-old Zion and cocky older brother Meir live with their divorced mother in a dumpy apartment, and can count only on each other. After a tragic accident involving a neighborhood Ethiopian boy, the brothers are challenged by thorny questions of personal responsibility and morality. (2009, 84 min.) Official Selection at the 2009 Sundance Film Festival. Throughout the entire world, Israel is presented through news broadcasts on television, often a series of violent images of terror and war. The breathtaking Land of Genesis introduces a completely different Israel – an Israel of amazing landscapes and multitudes of plants and wildlife. Israel is located at the meeting point of three continents. The film follows three mammals in their respective geographic habitats, as the seasons change. Each of the animals will open a window to the world of plants and animals of the region, a world filled with amazing beauty, a world in which there is no hatred, and which is guided only by one urge: the urge for survival. (2010, 87 min.) The film was produced in association with Israel Nature and National Parks. The administrator of the mass deportation of Jews to the Nazi death camps Adolf Eichmann, was hanged in Israel's first and only execution. Shalom Nagar, a religious Jewish ritual slaughterer and street philosopher who believes in charity, was the hangman. His life encapsulates the story from the perspective of "the other" – the marginalized Sephardi prison warden who was forced to do the dirty work of hanging the arch-enemy, and thus to carry a national burden that dramatically shaped the country, and his life. (2010, 60 min.) Best Documentary Film,Haifa International Film Festival 2010. A film by Israeli TV journalist Shlomi Eldar that recently made the Academy Awards’ documentary short list, Precious Life is unusually compelling both as a real-life medical drama and as a frank and nuanced consideration of the quagmire faced by Israelis and Palestinians alike. At the heart of it is the story of Mohammad, a Palestinian baby with an immunity disorder that has already killed two of his sisters. His parents have managed to bring him from Gaza to a hospital in Tel Aviv—medical facilities being what Eldar describes as the “only bridge left” between people living on either side of the checkpoints—but their quest to save the child is imperilled by a host of factors. (2010, 86 min.) Winner “Best Documentary” at the 2010 Israeli Film Academy Awards. 15-year-old Ayala is a free spirit and a conservative, religious, girls' boarding school is the last place where she could ever feel happy. When she returns home for the Passover Holiday, Ayala has one thing in mind - to convince her widowed mother Gila to let her come home for good. She is surprised to find that Gila has a new boyfriend named Eithan, who already acts like a surrogate father to Ayala's little sister Tutti and in general makes himself quite at home. Once again, she feels left out and rejected. While obsessively cleaning the house for the holiday, mother and daughter's relationship will reach a boiling point. (2011, 38 min.) First Award of Best Television Drama Film, Haifa International Film Festival 2010. The comedy Lenin in October takes place in Ashdod. Grisha has almost given up on his dream of opening a restaurant. The sudden death of a rich uncle in Russia changes all that. The uncle leaves all his money to his beloved nephew for the very purpose of opening a restaurant, but there's a catch. The uncle was a sworn Communist all his life and the restaurant must be dedicated to the sacred values of Communism. Grisha doesn't really mind. What is important here is the dream; ideology is a distant second. But how do you go about finding a statue of Lenin in Israel? (2010, 50 min.) Special Jury Mention, Haifa International Film Festival 2010. Two Egyptian soldiers, Haled and Gassan, are stranded in the Sinai desert at the end of the Six Day War in 1967. This compelling and comical saga follows these soldiers' attempts to find safety and water. The pair encounter Israelis on patrol, and Haled, who as a civilian's an actor, attempts a virtuoso performance of Shakespeare's Shylock in order to obtain the precious water: "I am a Jew! Hath not a Jew eyes?" to which the Israeli responds, "He's got his roles confused." But all the soldiers are equal victims of the politicians. Their journey together emphasizes human solidarity on the one hand and the irony of their situation on the other. The "enemies" stride across the sand singing "Avanti Popolo," an Italian revolutionary song whose words neither side understands. An intelligent and artistic satire on the absurdity of war. (1986, 84 min.) Israel’s 1986 Oscar entry for Best Foreign Film.